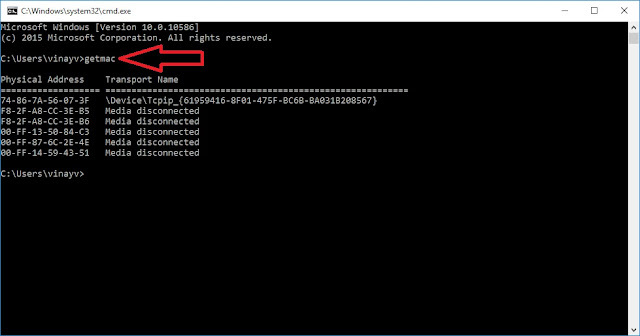 We can get the Mac id of the system through Command Prompt. MAC ID is nothing but Media Access Control Id. In every computer or Laptop there should be a unique media access control Id. This MAC ID is belongs to Network Interface Card (NIC) of the computer or Laptop or any networking device. 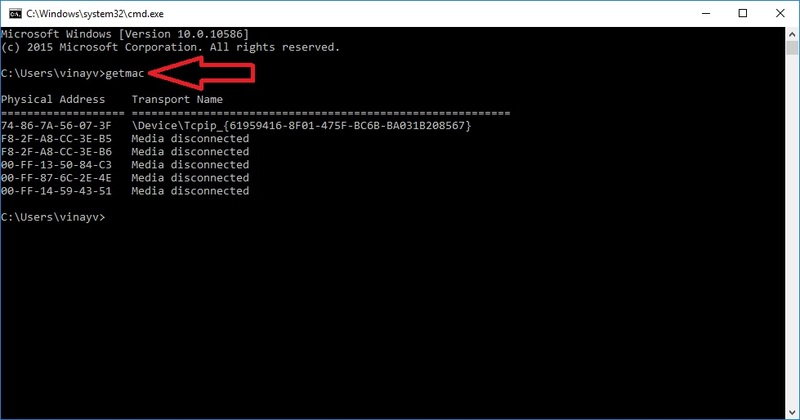 Command to get mac id is may works only for windows computers not for all other operating systems. I think you have enjoyed the trick of command to get mac id, anyhow thank you.